22 freely interpreted animated monochrome transitions coming in a variety of shapes, textures and lengths with transparency already in place. These offer an alternative solution to Grunge FX Generator and come with a total of 10 extra grunge effect, giving the user plenty of choice... Read the NLE Ninja review here. *Download links will be emailed to you, if you have not received it in your inbox, please check your spam folder, links expire after 24 hours. **Clips MUST be exclusively viewed and used inside an editing or compositing application, see manual for more details. ***Grunge Multicolored Alpha Transitions Library is accessible with the purchase of LVFX Platinum. Grunge Multicolored Alpha Transitions and Grunge Monochrome Alpha Transitions each include 22 freely interpreted animated transitions coming in a variety of shapes, colors, textures and lengths with transparency already in place. These offer an alternative solution to Grunge FX Generator and come with a total of 10 extra grunge effect, giving the user plenty of choice to select and customize (i.e. with filters and motion controls) the right effect for a given project. They represent an ideal solution for all PC USERS and for those who prefer to opt for an alpha transition solution as opposed to a plug-ins one. These clips have been designed to give your project texture and originality in an otherwise too perfect and sometimes clinical outcome. They may be used independently on the timeline or stacked several on top of each other to create a variety of effects. 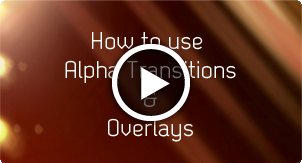 To find out how our alpha transitions can be used inside a software, please watch our tutorial on the right. Numerous looks can be created from using just one clip and different composite modes, scale, rotation and color correction. Many of the effects achievable by our Grunge FX Generator can also be produced with our Grunge Alpha Transitions. Please watch the demo to get an idea of some of the looks achievable. 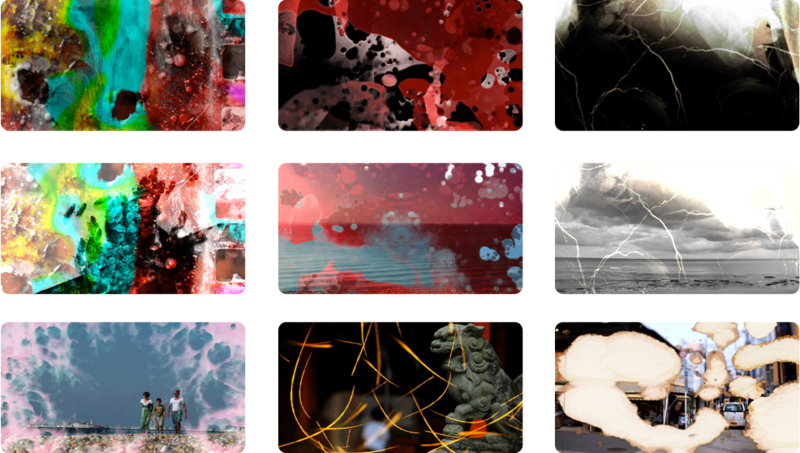 Click on the thumbnails below to get a preview of each Grunge Muticolored Alpha Transition clip. Clips are low resolution and should only be viewed as a sample, please download the demo clips to get a better idea of the quality. Previews require Flash so may not play on mobile devices. The current date and time is Tue 23rd April 2019 :: 02:12:12 at Luca Visual FX Studio in London.